renewed interest in cultural exchanges and cultural diplomacy. and new works that insure the health and vitality of the opera and music theater field for future generations to come. 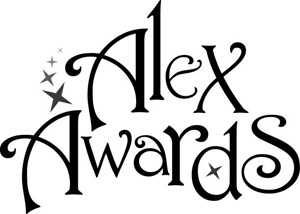 the Marjorie Lawrence International Vocal Competition, the Bravo Awards, and much more. Excellent Performance At The Center For The Arts Concert Hall. The Concert Was Broadcast Live Into EurAsia. All 1,935 Seats Were Sold Out. 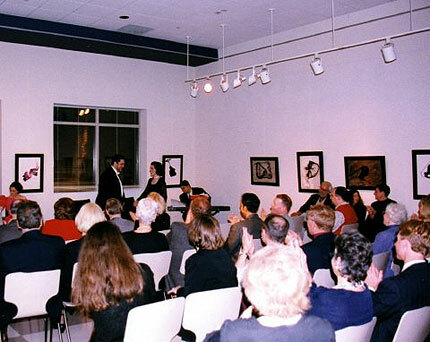 Singers in the Lobby of The Center For The Arts after the concert. 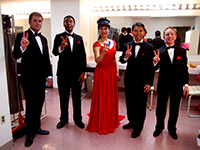 Back in the dressing rooms singers give the V for Victory sign with their fingers. 20th Anniversary Concert In Strathmore Hall At The Music Center at Strathmore. 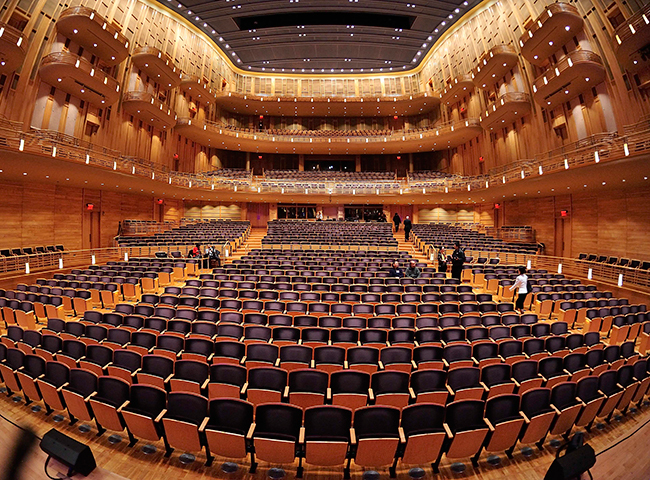 State-Of-The-Art Acoustically And Architecturally Stunning Concert Hall. 20th Anniversary Luncheon At World Bank. 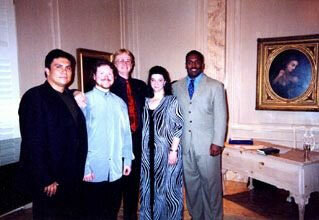 As Part Of OPERA America's NATIONAL OPERA WEEK. "Mr. McCully, I am delighted to welcome all those who have traveled from around the world to participate in this exciting event. and eras. Although opera was once the privilege of fewer audiences, each of you can be proud of your role in broadening its reach and appeal. continue to flourish in the 21st Century, enjoying a future as rich and creative as its past. Best wishes for a successful convention." given is safely entrusted to the generation to come. 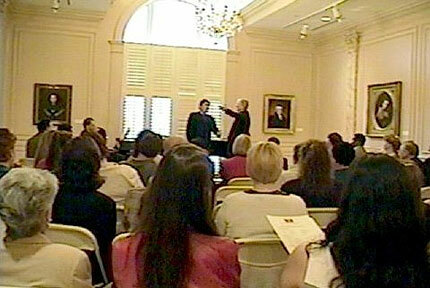 This gathering of professionals in opera and musical theater is an important step in that transition." 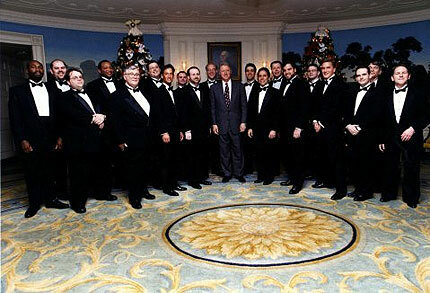 "Die Zauberflote", "L'Elisir d'Amore" and "Dona Francisquita" during, what President Clinton has designated as, "National Opera and Musical Theater Week." With all best wishes for an exciting and enriching week." "Mr. McCully, thank you for your important part in making the 43rd National Opera Association Convention the biggest and best yet." capable of doing what you did. We were particularly impressed with your calm and outwardly serene manner throughout the hectic days. And you are a gentleman. Thank you for all that. For all your future endeavors our very best wishes go with you." "Mr. McCully's determination to make the 43rd National Opera Association Convention a memorable event was everywhere apparent, and he achieved his goal." 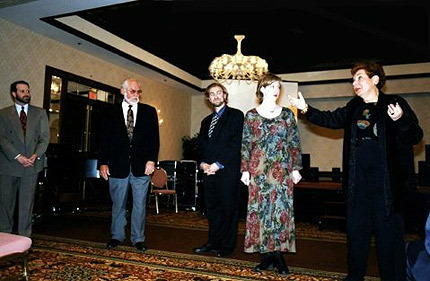 National Opera Association's Vocal Competition. I have been impressed with his diligence and enthusiasm in all of these areas. I know that he has been industrious in his promotion of opera and his encouragement of young artists." National Museum of Women in the Arts, Washington D. C.
His Royal Highness, The Prince Philip, Duke of Edinburgh. "Maestro McCully, I have no idea where I would be vocally right now in life if God had never placed you in my path. One thing that I can say with great certainty is that I would not be the singer that I am today if it were not for you. I am able to do with my voice from here on out can be attributed to the work that you have done with me and for me. Thank you so much for all that you do. You are a true Saint in the music world!" even drawing out the last one to show what he could REALLY do (showoff!). But, heck, if you can do it, flaunt it. And Mr. Eaton certainly can and did. And the audience was dazzled by the ease and musicianship of his feat." "Eaton reached all 11 of the required high C's that helped to make Pavarotti famous. Eaton later displayed strong acting skills again in the Daughter of the Regiment trio." "A young tenor whose name you shall not soon forget!" of Wagner and Strauss in an opera house the size of the Met. Deborah Voigt is the real deal." dramatic soprano Deborah Voigt after National Symphony Orchestra performances of Salome at Kennedy Center. honor of the greatly gifted Ms. Lawrence, whose tragic story is ultimately one of triumph over devastating adversity. tremendous legacy of which I am so humbly grateful to be a part. With thanks, and all best wishes." 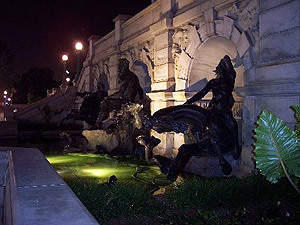 of the cathedral woods at night. 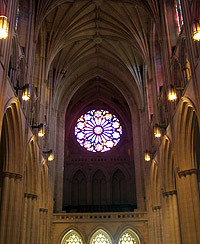 A memorial gift was made to the National Cathedral in remembrance of Marjorie Lawrence. 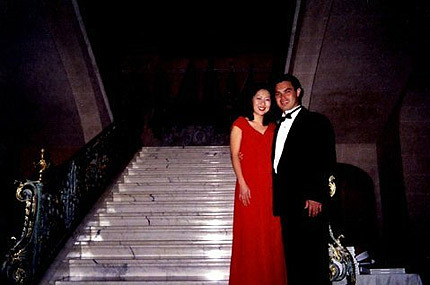 the rich legacy of the Metropolitan Opera Star in 2007. "Mr. McCully, it is great that you are doing such good work to help young singers, and we both wish you the greatest of success. 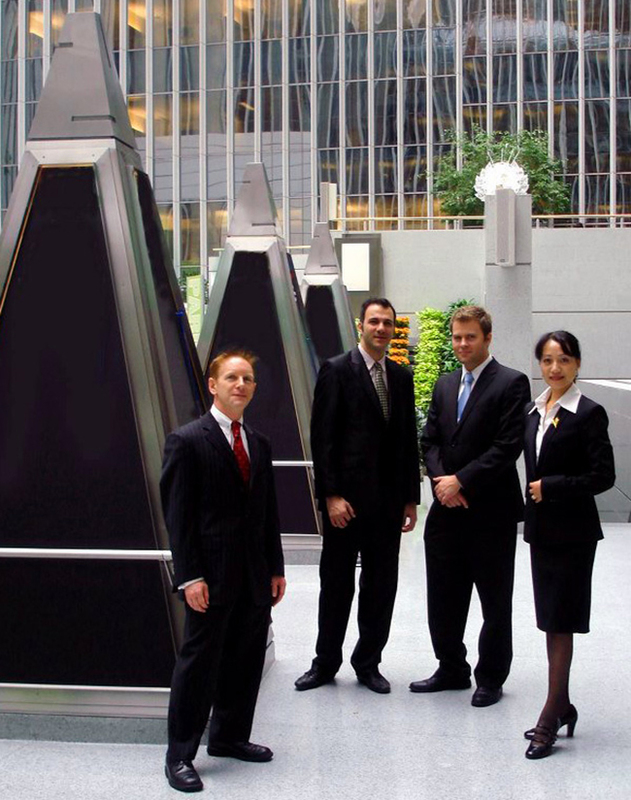 We are happy to be on the Advisory Board and to serve as International Honorary Chairs." learning how to sing in developing a career. It is so well done, and so believable." 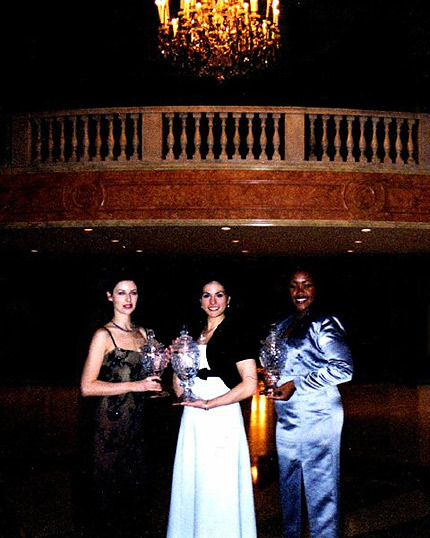 Opera Music Theater International for sponsoring the Marjorie Lawrence International Vocal Competition. It is an honor and pleasure to have been chosen as a Winner by this prestigious organization. to encourage young singers for years to come. Thanks again." "Miss Nassif blossomed. Her luscious, well-supported vocal gifts bloomed magnificently, swiftly transforming her into a Violetta to remember with love and admiration. Displaying great emotional maturity and a seemingly unlimited vocal range, she melded effortlessly with her character and made the magic happen, made the audience believe in a way that happens infrequently even with the greatest of companies. With these performances, the gifted Miss Nassif -- only in her late 20s -- could be on the threshold of a truly brilliant career." my experience as a participant in The Competition." 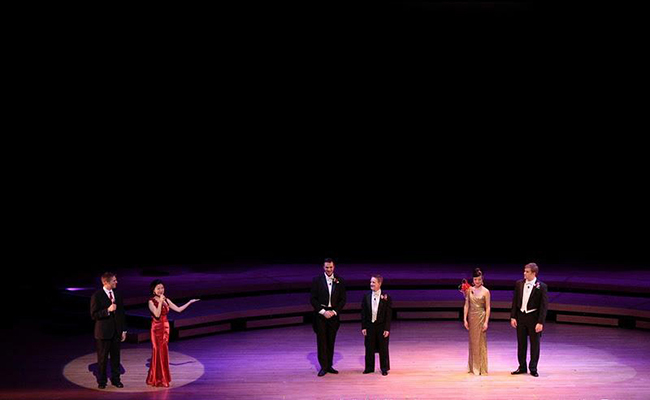 "The Marjorie Lawrence International Vocal Competition is an excellent opportunity for young singers to hone their craft and perform competitively with their peers. The competition is open to all singers whose operatic repertoire and vocal caliber meet the demands of an international career. The event clearly was a success!" It was at a master class that they discovered Jennifer Wilson, who looked "unprepossessing," Ms. Lear said, until she opened her mouth and sang "Dich, teure Halle" from Wagner's "Tannh�user." "We couldn't believe our ears," Ms. Lear said. "We said, 'Where have you been?' " They quickly helped her get New York management, leading to her professional debut, in the title role in "Turandot", and on to the understudy contracts that led to her star-is-born moment in "G�tterd�mmerung." Jennifer Wilson, an unknown 39-year-old soprano, suddenly burst onto the international opera scene by jumping in for Jane Eaglen as Br�nnhilde in Wagner's "G�tterd�mmerung" at the Lyric Opera of Chicago, just a day after singing the same character in a rehearsal of "Die Walk�re." Artistry aside, this is a stunning athletic feat. Few people today have the vocal heft and stamina to get through even one of these roles, let alone take on both back to back. Ms. Wilson not only sang the killer leading role of the five-hour "G�tterd�mmerung," she also sang it so well, with a huge, beautiful sound and dramatic nuance, that she brought down the house. Jennifer Wilson sings "Dich, teure Halle" from Wagner's "Tannh�user"
Jennifer Wilson Sings "Dich, teure Halle"
who served as President of the Board of Regents of Opera Music Theater International from 2004-2006.
having been a Fellow in the Program under my predecessor, Patrick Smith, who had left to become editor of OPERA NEWS. I found Mr. McCully to be reliable, insightful, and thorough in fulfilling this important task, which he agreed to do, as a service to the field. 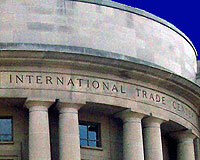 his commitment to American Works; and his support of young talent." tenor James Baker, soprano Connie Coffelt & accompanist JoAnn Kulesza under the direction of James K. McCully. Under the direction of James K. McCully, Opera Music Theater International presented its Emerging Artists Concert as part of the Grand Ball at Belmont Mansion in Washington D.C. benefiting Capital Children's Charities. The Concert occurred at the magnificent Belmont Mansion, former home of New York Congressman Perry Belmont, with accompanist JoAnn Kulesza. The piano used for the performance was a gold leaf 1911 Steinway Model B grand piano (one of two in the world). The performance at Belmont Mansion included four prominent emerging artists showcasing a selection of bravura operatic masterworks. 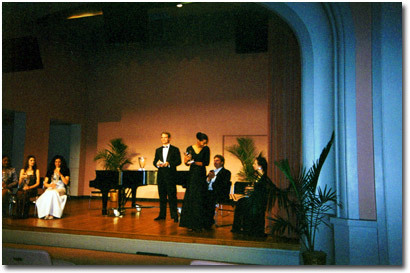 The performances took place in two acts at two different times during a formal evening of cocktails, fine cuisine, chamber music, silent auction and dancing. The evening's goal was to reflect a dazzling evening of early 20th Century high society entertainment in this turn of the century French inspired mansion. 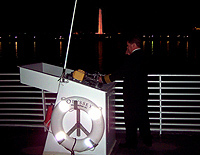 The event clearly was a significant success and offered a magnificent evening. 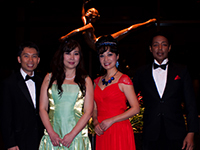 All four singers for The Grand Ball performances have excellent voices, were well trained, and exhibited clearly defined technique and ability. 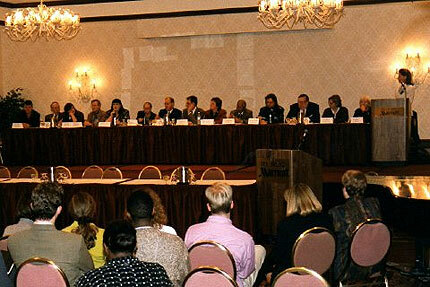 The event was well attended. Given the nature of the event, there were times when it took the audience some time to quiet down for the performers. The performances were clearly appreciated, however, and the audience showed its interest in the performances by rousing ovations after each selection. Overall, the performances were very well executed and enjoyable. Certainly the talent represented was excellent and the evening was clearly a major success. 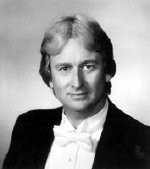 Russell P. Allen - National Endowment for the Arts and OPERA America consultant, general manager of Atlanta Opera, Virginia Opera, and numerous symphony orchestras, reviews Opera Music Theater International's Grand Ball at Belmont Mansion Great Performances. under the direction of James K. McCully. 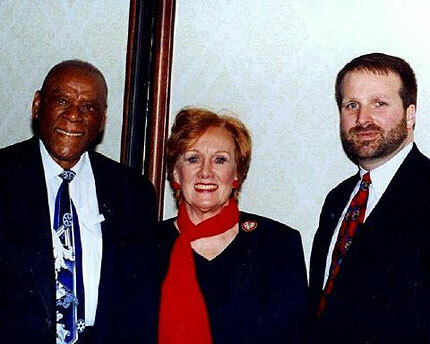 The husband and wife team of Thomas Stewart and Evelyn Lear is legendary. Not only have they appeared on every operatic stage globally, but their widespread influence can be equally felt among academic circles. Through the medium of master classes, and young artist/apprenticeship programs, they are tireless in their efforts to promote future generations of vocalists. 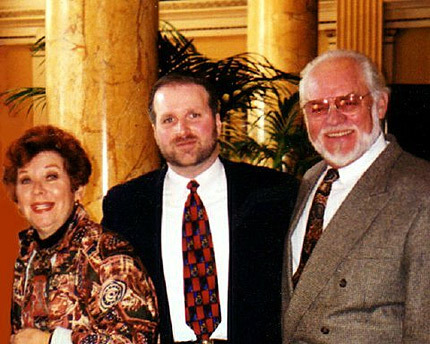 For over two decades, the team of Stewart and Lear were at the height of their careers as leading Helden Baritone and Lyric Soprano at the Chicago Lyric Opera, Metropolitan Opera, Vienna State Opera, Covent Garden in London, and so the list goes on. Their performances of German opera repertory are considered to be definitive in nature. 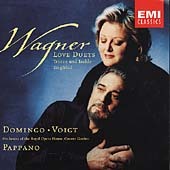 Die Walkure and Die Meistersinger both of Wagner, Der Rosenkavalier of Strauss, and Die Zauberflote of Mozart are exemplary here. 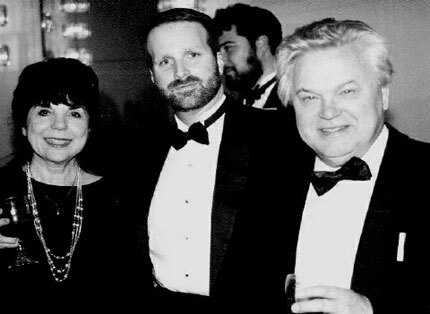 Opera Music Theater International honored Evelyn Lear and Thomas Stewart with Lifetime Achievement Awards for their illustrious careers in the history of opera, and their commitment to a new generation of emerging artists. 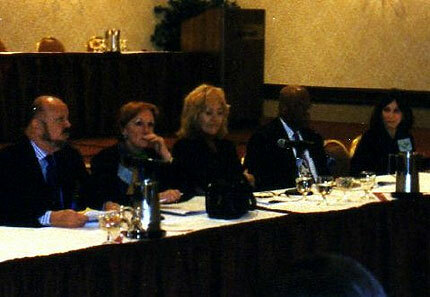 & James K. McCully, general director. 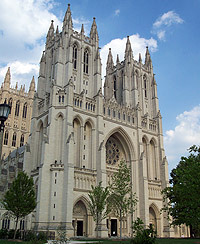 Regarded as the quintessential American icon, the National Theatre in Washington, DC embodies a rich tradition of history. 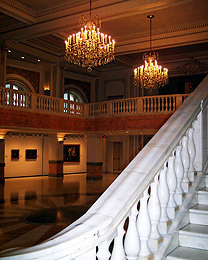 For a number of years, its hallowed halls have witnessed many unforgettable performances by world renowned artists. To this day, it still attracts a large number of devotees because of its outstanding cultural events and community outreach. 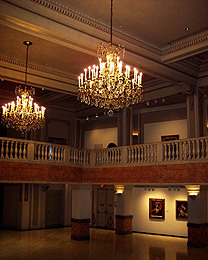 Under the auspices of the Shubert Organization, many stage works as well as world premieres have been presented. 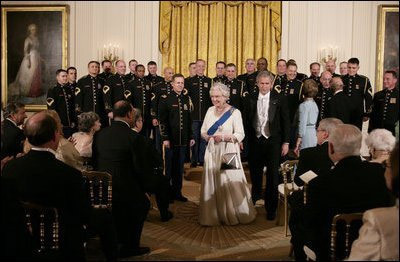 The general public and critics alike have adopted the ever popular sobriquet, "The Theatre of the Presidents," as an endearing descriptor for the National Theatre; it has hosted every American President and First Lady for major events since the beginning. 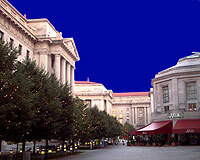 Even the Theatre's location on the "Avenue of the Presidents" is befitting of this revered institution. Of no less stature, Helen Hayes is equally known as the "First Lady of the American Theatre." She appeared as leading actress in numerous stage productions at the National Theatre. Her ubiquitous presence continually manages to be felt. An official portrait of her is on permanent loan from the National Portrait Gallery and is housed at the Helen Hayes Gallery inside the National Theatre itself. 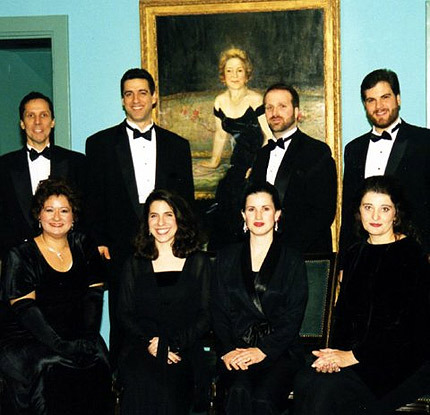 Billed as a celebratory concert, and as part of Monday Night at the National Theatre, presentation of Opera Music Theatre International (OMTI) featuring ensemble members Marcia Saint Clair, mezzo; Cassondra Morrison, soprano; Benjamin Warschawski, tenor; Michelle Auslander, soprano; Frank Basile, bass-baritone; Awilda Oliveira, soprano; and Dr. Richard Bosworth, accompanist in formal concert attire, under the direction of James K. McCully in honor of John McCullough. 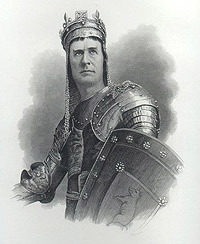 McCullough, a highly regarded actor in his own right, was allegedly shot and murdered by a fellow colleague on the premises of the National Theatre. Legend has it that his remains are buried somewhere beneath the stage area and that his ghost appears regularly during the evenings especially during opening nights of theatrical debuts. 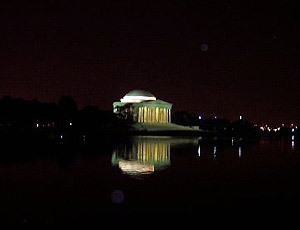 Washington Post has described it as a nocturnal presence within the walls of the Theatre, roaming about and presiding over the theatrical activities in a dutiful manner, almost as if to say "the show must go on." 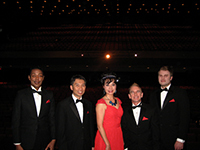 "The caliber of the singers that you brought to our stage was breath - taking. Any one of them alone could have held an audience spellbound; together the ensemble was dazzling indeed." 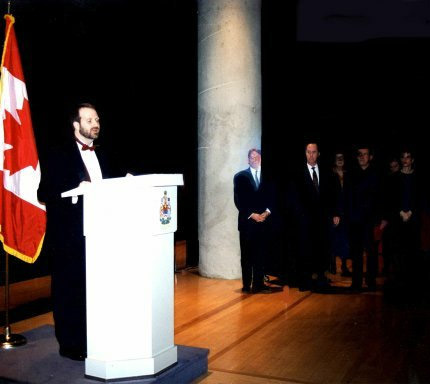 James K. McCully Honors Banff Centre for the Arts 20th Century Opera & Song Program At The Embassy of Canada. 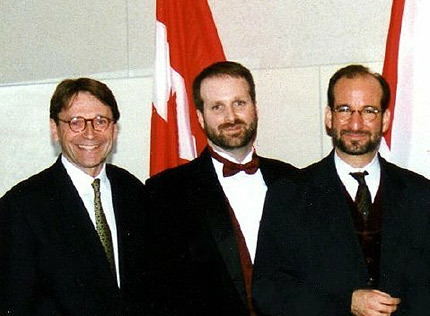 National Endowment for the Arts Alexander Crary & Gigi Bolt, Banff Centre for the Arts Keith Turnbull & OPERA CANADA Wayne Gooding. The timing of the reception coincided with the start of The Banff Centre's 65th Anniversary Celebrations. Paul Fraser, Minister, Public Affairs (Canadian Embassy) joined James K. McCully, Chairman (National Opera Association Convention) and Marc A. Scorca, President & CEO (OPERA America) in welcoming delegates and friends of the Centre to the embassy. Professional artists from a variety of disciplines were auditioned for a number of programs, including this year's world premiere opera Zurich 1916, the Dramatic Integration, and the New Work Development programs. Metropolitan Opera Artist Ryan Edwards Works With Emerging Artists Robert Cantrell, Jonathan Saxon, Madeline Grey & Jose Sacin. Accompanists Moshe Landsberg & Dr. John Bowen, under the direction of James K. McCully, at the National Museum of Women in the Arts. Opera Music Theater Institute, under the direction of James K. McCully, presented a master class by Ryan Edwards, renown singer, author, and musicologist. The master class occurred at the National Museum of Women in the Arts, Washington D.C.
"A naturally gifted performer-advocated-teacher offers solid advice to aspiring young singers." The master class was underwritten in part by Yamaha Artist Services, which provided a Yamaha C-7 Conservatory Concert Grand for the event. Working with Mr. Edwards (author of "The Verdi Baritone" and "Verdi and Puccini Heroines") were accompanists Moshe Landsberg and John Bowen. Ryan Edwards began the Master Class with comments on his perception of talent in the singing world today, remarks about what he is going to focus on in the Master Class Session, and thoughts on opera production as it relates to singing in general. After a very brief greeting that included minimal comments about his background, Mr. Edwards' initial statements included an overview of his thoughts about singer training in the world today. He focused on the significant quality of training in America and how the world's premiere emerging talent seemed to radiate from American music conservatories. His direct quote on American singers was that they "are the most well prepared and musically astute" singers found anywhere. Mr. Edwards then moved on to his thoughts on Guiseppe Verdi as a composer and his relationship with singers. His insight led to his position that Verdi, more so than any other opera composer, wrote music that epitomized the human experience through vocal music production. Mr. Edwards cited how Verdi dealt with humanity and human issues and managed to use opera as the medium to throw life and its intricacies in the audience's face. Thus, in explaining his focus for the day's session, he would use Verdi as the consummate example of how characterizations are realized vocally. In further explaining Verdi's mastery, Mr. Edwards continued, used various styles of musical expression during his career; beginning with the bel canto formula popular at the beginning of his career and evolving into the through-composed style of his later years. 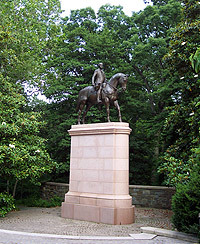 Throughout his stylistic evolution, the one constant that Mr. Edwards details in Verdi's continuing ability to make real, human characterizations. Found in the complete body of his repertoire, Mr. Edwards cites, is music that breathes and emotes through an inherent intensity not found in all composers. Mr. Edwards defined intensity as not being tension. Intensity, he said, is a necessary component of vocal production and expression - tension is not. Intensity is needed to define characterization: excess tension is not. Verdi's music demands intensity for effective characterization. Mr. Edwards was also very clear that for the best possible effort at realizing true vocal intensity, with Verdi's (or, he implied, with any like composer) work should be viewed as it was originally intended. 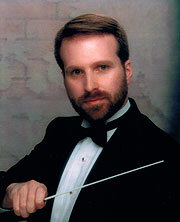 Mr. Edwards said avoid "concept" productions if one wants to truly sample Verdi's genius. Concept productions tend to marginalize characterizations, distract from the music being presented, and disallow appropriate focus on the humanity of the character. It's the psychology of human emotion that makes the music relevant. And to get into character and the emotional statement being presented, the music must first be learned and experienced as originally presented. That's where the real characterization has the best chance of coming through. So, Mr. Edwards summarized his intent at today's session by stating that the focus of the Master Class would not be on technical issues, per se. But rather he would try to point out how best to bring forward the depth of character that is inherent in the music. His one bow towards technical prowess was noted in a statement regarding singers performing on pitch. Mr. Edwards stated that any singer who cannot sing consistently on pitch will not have any kind of career. It was clear to this reviewer during the course of Mr. Edwards introduction of the session that he is clearly a man of expertise on opera characterizations. It was also clear that he aptly used Verdi as an appropriate and significant example of a composer's mastery of characterization through music, and that his own experience and understanding should provide for an interesting Master Class both enlightening for the viewer and rewarding for the singers. Throughout the Master Class, Ryan Edwards was personable, encouraging and helpfully demonstrative. He relished what he was doing, clearly expressed his love of singing and support of such learning activities as master classes. The Master Class itself was an excellent example of a naturally gifted performer-advocated-teacher offering solid advice and clearly communicated guidance to aspiring, young professional singers. Those in attendance were able to glean good solid information from the Master Class as well as enjoy an entertaining and fun session. 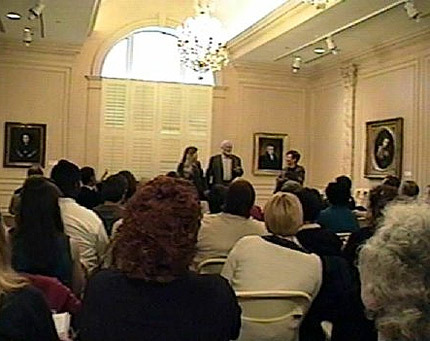 Russell P. Allen - National Endowment for the Arts and OPERA America consultant, general manager of Atlanta Opera, Virginia Opera, and numerous symphony orchestras, reviews Opera Music Theater International's Ryan Edward Master Class at the National Museum of Women in the Arts in Washington DC. "Mr. McCully, I cannot begin to tell you how grateful we are to you for your appearance at the White House. The President and Mrs. Clinton join me in extending many thanks for your time and talents." Amy Henderson, creator of the exhibition and book, RED, HOT & BLUE: A Smithsonian Salute To The American Musical. 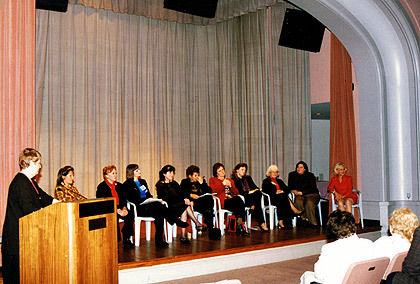 "Actually to sit on a panel with William Warfield and Marni Nixon, and repositories in all the fields, I was considering my role on this panel. 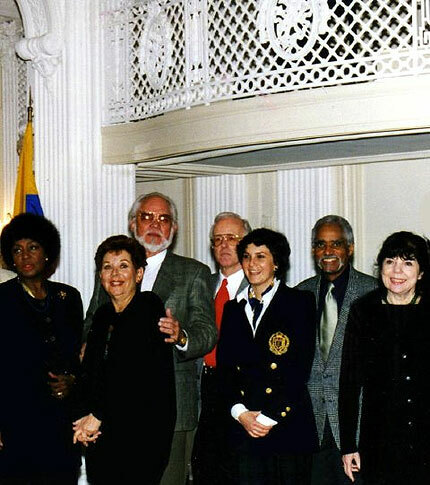 When I was at the New York State Council on the Arts, as Director of the Theater program, I was working with Kitty Carlisle Hart, the widow of Moss Hart and Dorothy Rodgers, Richard Rogers' wife, and I saw wonderful work all over the state -straight plays and musicals. There are a few moments in my memory, and one of those was a night over at Dorothy Rodgers' apartment for a meeting. I was standing at the far end of the living room, and sitting there at the other side of the room at the piano was Richard Rodgers, playing away at a tune, working something out. I couldn't believe that I was seeing it, and I have felt that way ever since. There have been so many moments that I treasure in the musical theater, from the excitement of the opening night of CHORUS LINE on Broadway, or the revivals of SHOW BOAT and CAROUSEL, SHE LOVES ME, and GUYS & DOLLS, to the new music explorations of Julie Taymor and Elliot Goldenthall. Julie had done so much work in the small theaters off of Broadway for the last twenty years before being given the opportunity like this, that so many of our magnificent artists have not yet received, people like Polly Penn, Jonathan Larson, Martha Clarke, and so many others. It was this sweep in evolution and this sense of cultural historical development that was, for those of you who have not seen the exhibition that was so absolutely stunning. Thrilling! All of the joy, and hope, and genius, and shared spirit and energy were right there, and I'm so glad "RED, HOT & BLUE" is touring the country. I salute you Amy. It was wonderful." The book, RED, HOT & BLUE: A Smithsonian Salute To The American Musical, was published to coincide with the Washington, DC, exhibition of the same name at the National Portrait Gallery, which co-created both exhibition and book with the National Museum of American History. "I would like to thank James K. McCully, and Opera Music Theater International for allowing us to do this." 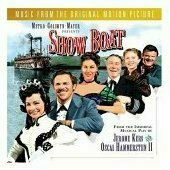 Widely acclaimed by audiences and critics alike, Carlisle Floyd belongs to a rare breed in the annals of music history. He is considered to be the most influential operatic composer in America and has remained at the pinnacle of his profession for over half a century. Among his stage works, Susannah (1955), Of Mice and Men (1970), and Cold Sassy Tree (2000) highlight his unusual gift for melody. The arias contained within exemplify the expressive and intense lyrical nature of his musical language. To date, Floyd's total operatic output is in constant demand among major opera companies across the United States such as Metropolitan Opera, New York City Opera, Houston Grand Opera, and the Lyric Opera of Chicago. The Passion of Jonathan Wade and Willie Stark were a testament to his popularity in these venues. The New Yorker music critic Andrew Porter's aphoristic statement..."he has learned the international language of successful opera in order to speak it in his own accents and to enrich it with the musical and vernacular idioms of his own country"...pretty much says it all. 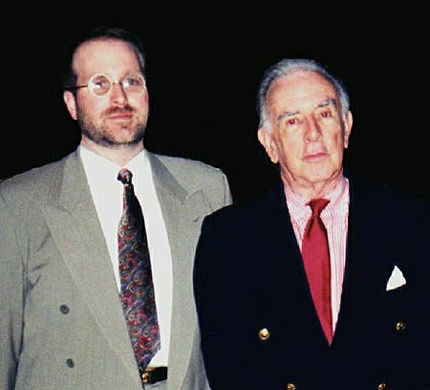 Opera Music Theater International honored Carlisle Floyd with a Lifetime Achievement Award for bringing a national voice to American themes in his series of contemporary American operas. "Mr. McCully, I am deeply honoured by the Award of Excellence that you have given me. I very much appreciate this gesture. Composing is sometimes a very lonely occupation and it is very gratifying to have this kind of recognition." thanks to you and I will only continue to grow leaps and bounds with your amazing world class voice instruction. You are the most influential instructor of voice I have ever had. Thank you so much for all that you have done. " "The Next Generation Of Global Leaders For A New World Opera"
"I wouldn't be where I am today without the experiences I had with OMTI !" & Banff Centre for the Arts 20th Century Opera & Song Program-Keith Turnbull. Metropolitan Opera National Council Auditions Gayletha Nichols addresses International Congress on Singer Training and moderator Michelle Krisel, Washington National Opera Center for Training & Education. 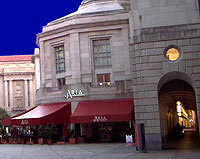 contributions in opera and music theater. 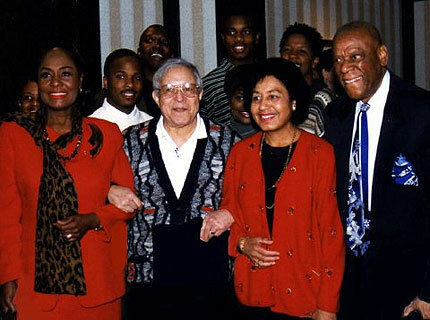 Mattiwilda Dobbs, were amongst the first cohort of honorees. and sopranos Margaret Tynes and Adele Addison. A greatly anticipated feature of The Legacy Awards is the concert of operatic arias and ensembles performed by some of the most outstanding young African American and Afro-Canadian singers on the horizon. The audience was on its feet, and the young artists were in awe of the opportunity they had been afforded to witness The Legacy incarnate!